Due to Japanese national holidays as Golden Week, we will close 2019/4/27~2019/5/6 JST. This may cause delays with our responses. Thank you for your understanding. Narrow by * Products that meet your criteria are shown in table below. The reviews are automatic translation. I tried packing of the oil cap. Although I do not know the durability, I could use it without oil leakage. It was easy and it was good. This review is about item#2100656. 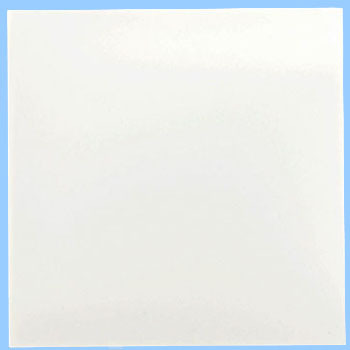 I tried purchasing 100 x 100 x 5 mm "silicone rubber sheet hardness 70" and "CR (chloroprene rubber) sheet hardness 60" for water adhesion of Kapton tape on 3D printer platform. In plastics spatula and the like, tearing of a film tends to occur although it is inevitable even though it is trivial abrasion or thin. Both rubber sheets were not bad, but I thought that a silicone rubber sheet with a hardness of 70 would be better without moderate. The sample image looks white, but it arrived in grayish color. This review is about item#02100796. The effect was okay. However, although it is natural, since the silicon sheet is Gignagguia, cutting was quite difficult and I had a hard time. It is not matter of goods, but it is my own skill problem. The rest is how it is durability, wait for a while. This review is about item#2100805. This review is about item#2100376. This review is about item#2100516. I did not want the tip case to move during pipette operation and I tried laying it. It is very nice to have a firm anti-slip and not move what you put. Because it is silicon, it is easy to disinfect the desk strongly against chemicals. Silicone sheets are sold even for hundreds, but thickness and thing are different. I thought it was good to buy. This review is about item#2100498. I received what I was imagining. However, although it was rolled up and sent at the time of delivery, things of this kind can not take a rounded habit easily, so I would like to make an improvement. This review is about item#02100394. Hardness is 70, but when transporting aluminum panel, adhesion is good, NBR (nitrile rubber) sheet white hardness 65 (00001112) It does not slip. This review is about item#02100656. There was a part around the engine of the old car around the engine, there was a part made of silicone rubber sheet as a cushioning material, but already manufacturers have parts missing and it seems that they are looking for second used parts etc Since it is not, I tried reproducing it by replacing the silicone rubber sheet which became useless. I actually tried using it, it was easy to solve it without problems at all. Here, rubber sheets of various thickness, size and hardness are stocked, it was good that we could procure material much easier than going around the home center and the electric material store. This review is about item#02100516. Semua produk tawaran MonotaRO Singapura tertakluk pada undang-undang, peraturan, dan standard pensijilan tempatan Jepun. Sila pastikan ia mematuhi atau tidak mematuhi keperluan negara anda dan/atau organisasi antarabangsa, termasuk tetapi tidak terhad pada, Pensijilan UL, sistem Sijil Wajib Halal, dan Halal.